21Torrent sites provides clean design and fast website search for movies, TV-show, music and games. 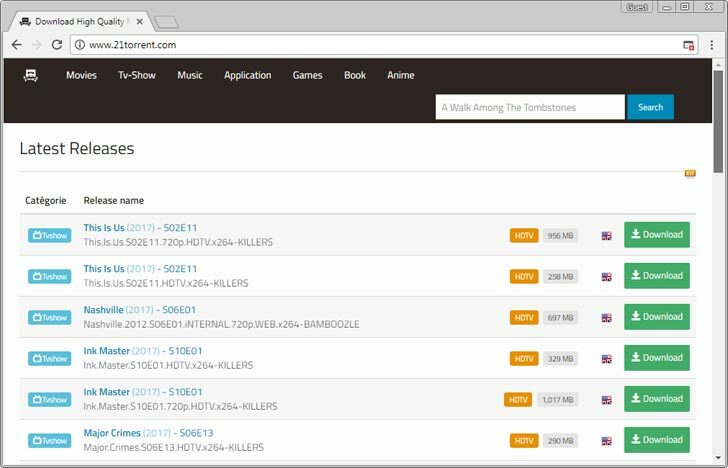 21Torrent is an evolution of OnTorrent where all similar functions were found. This torrent search website delivers good usability without annoying advertisements which usually are found on such types of sites.